Windows › News › Software Informer 1.5 Has Been Released! We are pleased to announce that the new version of Software Informer 1.5 is now publicly available. We have been diligently working on modernizing the SI Client and improving its main functionality. Here's a quick overview of what you'll find different in the new version. The design has got a minimalist look, however, without compromising any of SI Client features and functions. 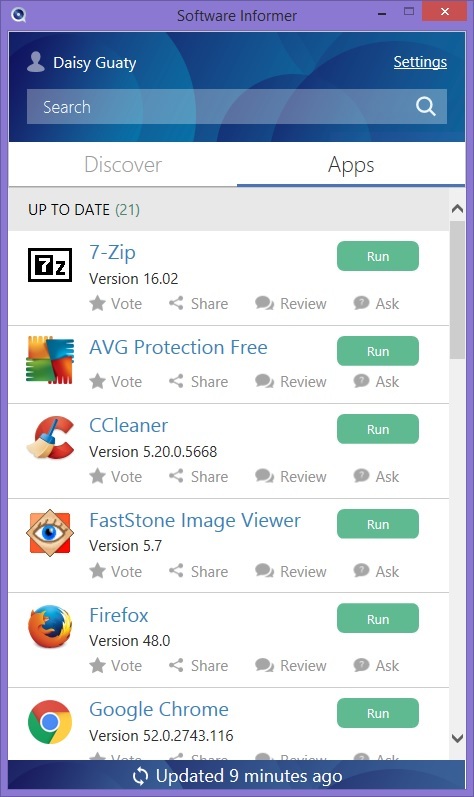 All the updates for your software, all the recommendations, the trending apps and the Giveaway offers are still there, but in more a compact interface that takes less space on your desktop now. We have improved the general performance of the SI Client. The updates for installed programs and drivers will be delivered to you even faster with our optimized multi-threaded download system. All the SI Client options are organized in two new sections: Apps and Discover. 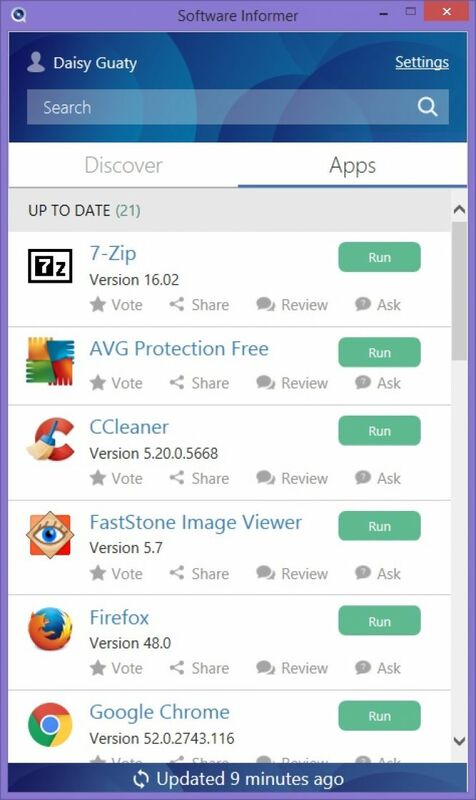 In the Apps section you see the list of the apps and drivers installed on your PC and download for free the updates available for your favorite software. You are also able to run any program directly from the SI interface, fast and conveniently. 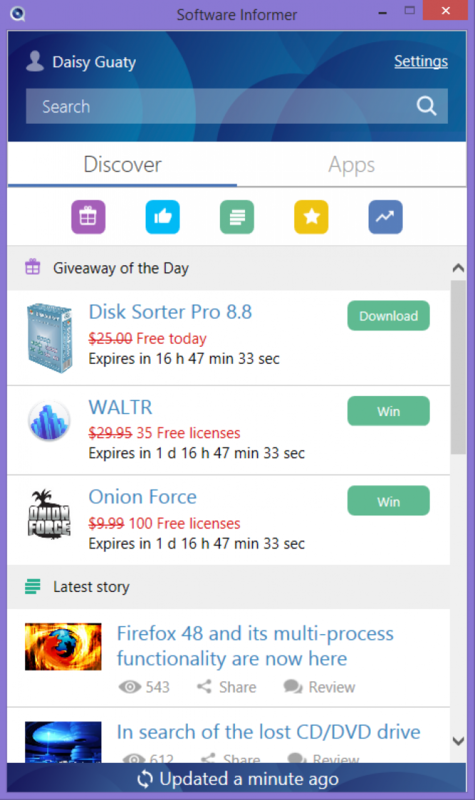 In the Discover section you find the Giveaway time-limited free offers on commercial software tools (the feature that has already received positive feedback from our users), the recommended apps (the SI Client suggestions based on your preferences), the trending Windows programs, the news and articles on the most important technology developments. It's worth mentioning that a considerable number of the software tools in the SI database are supplied with professional reviews and opinions that come in handy for inexperienced users and not only for them. As always, you are also welcome to share your ideas and express your point of view. We would like to thank all the users who helped us improve SI client by submitting different kinds of reports. Your assistance is truly appreciated, and we hope you'll enjoy using the new SI client!